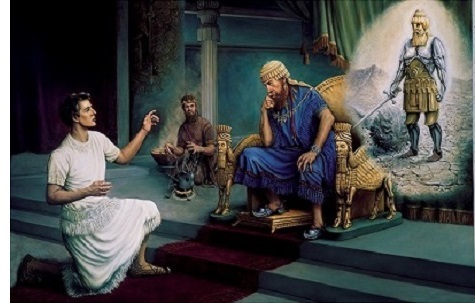 Daniel's amazing visions - The prophet Daniel was a member of the royal family of Judah who was exiled to Babylon and made a member of King Nebuchadnezzar's royal court (Dan. 1:3-5). He was a special kind of prophet in that he received visions from the Lord and given the ability to interpret dreams. The most important was one the king himself had had concerning the future. 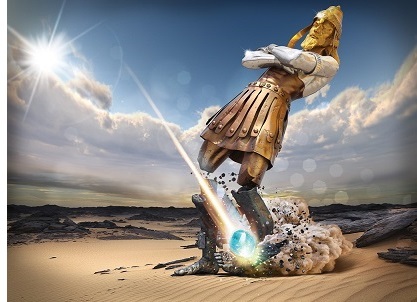 "Therefore, Daniel went in to Arioch, whom the king had appointed to destroy the wise men of Babylon; he went and spoke to him as follows: 'Do not destroy the wise men of Babylon! Take me into the king's presence, and I will declare the interpretation to the king.' Then Arioch hurriedly brought Daniel into the king's presence and spoke to him as follows: 'I have found a man among the exiles from Judah who can make the interpretation known to the king!' The king said to Daniel, whose name was Belteshazzar, 'Are you able to make known to me the dream which I have seen and its interpretation?' Daniel answered before the king and said, 'As for the mystery about which the king has inquired, neither wise men, conjurers, magicians nor diviners are able to declare it to the king. However, there is a God in heaven who reveals mysteries, and He has made known to King Nebuchadnezzar what will take place in the latter days. This was your dream and the visions in your mind while on your bed. As for you, O king, while on your bed your thoughts turned to what would take place in the future; and He who reveals mysteries has made known to you what will take place. But as for me, this mystery has not been revealed to me for any wisdom residing in me more than in any other living man, but for the purpose of making the interpretation known to the king, and that you may understand the thoughts of your mind. You, O king, were looking and behold, there was a single great statue; that statue, which was large and of extraordinary splendor, was standing in front of you, and its appearance was awesome. 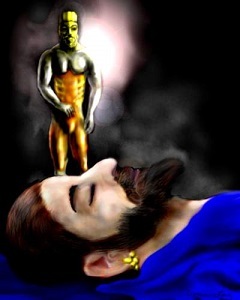 The head of the statue was made of fine gold, its breast and its arms of silver, its belly and its thighs of bronze, its legs of iron, its feet partly of iron and partly of clay. You continued looking until a stone was cut out without hands, and it struck the statue on its feet of iron and clay and crushed them. Then the iron, the clay, the bronze, the silver and the gold were crushed all at the same time and became like chaff from the summer threshing floors; and the wind carried them away so that not a trace of them was found. But the stone that struck the statue became a great mountain and filled the whole earth.